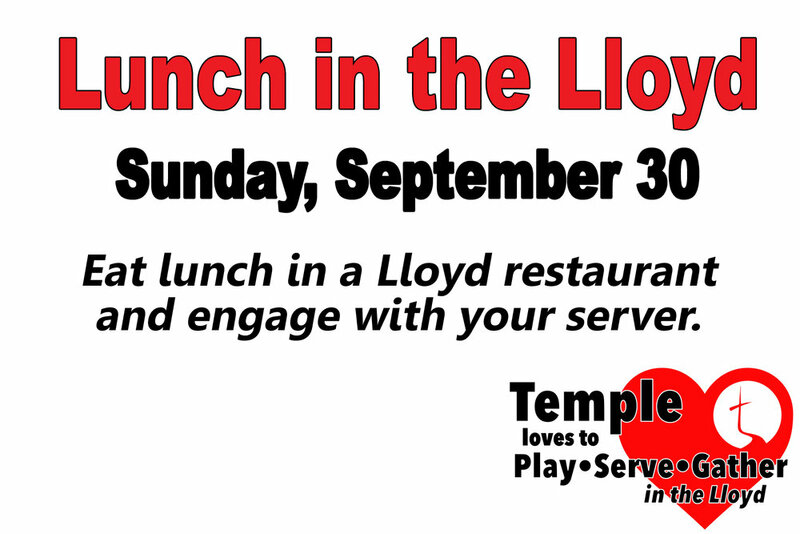 After church, Temple will fan out into the Lloyd neighborhood for lunch at restaurants. · Who will you go with? Which restaurant will you go to? · Pray for your server when you pray for your meal. · Encourage your server in writing (Temple will provide the thank-you card) and leave the card on your table with your tip. Have a great lunch and enjoy being together!